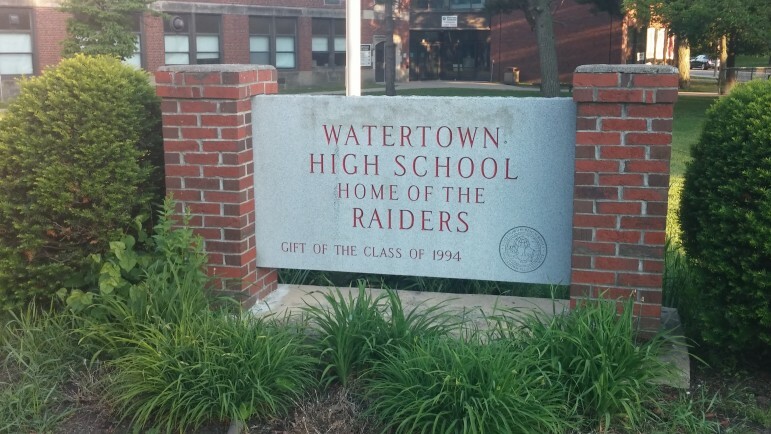 Responding to concerns of parents and staff, the Watertown Public Schools administration presented a report on asbestos in the town’s schools on Monday night. Afterward, School Committee members said they are confident that Watertown’s students and teachers are safe from asbestos exposure. Many of the calls and emails came after an online petition started by people concerned about asbestos in the Watertown Public Schools. The petition cites the suffering of a former Watertown teacher, and calls for the closing of the Watertown High School and Watertown Middle School buildings until the asbestos hazards are identified and dealt with. Because Watertown’s schools were built during the “age of asbestos,” Superintendent Dede Galdston said, asbestos is certainly something to be concerned with. She added that she is comfortable that the hazards have either been removed or encapsulated. A districtwide survey of Watertown’s school buildings was done in 2016 to meet the federal EPA’s Asbestos Hazard Emergency Response Act(AHERA) requirements. The 2017 survey found areas of Watertown High School where asbestos needed to be removed or encapsulated, including in some classroom areas. Some concerns arose because of damage to or cracking of plaster or other things containing asbestos at the school. Also, asbestos problems were found in some non-instructional areas at Watertown Middle School, Cunniff School, and the Phillips Building. “All told, close to $400,000 was spent in remediation of the course of the last school year,” Galdston said, reading from a letter to the School Committee. The schools will be monitored every six months to see if there are any problem areas. “I am fully confident we know where asbestos is, and how to take care of it if an issue arises,” said Galdston, whose letter also outlines the steps that have been taken this school year to inspect for asbestos issues and prevent them from arising. The letter can be seen by clicking here. Also, Galdston encouraged staff or others to report any area of concern to school officials. “They should call the Department of Public Buildings —which has been done a number of times, and nothing has come up,” Galdston said. The AHERA process is a three year cycle, and the Watertown Public Schools is in the second year of the cycle, Galdston said. Next year, the district will hire a contractor to do another survey of all the buildings. For those who want to see the condition of Watertown High School, Galdston also invited parents, residents, staff and others to a tour of Watertown High School at 4 p.m. on Monday, Feb. 11. School Committee member Lily Rayman-Read thanked Galdston and Lori Kabel, Watertown’s director of Public Buildings, for all their work on this issue. “I am fulling confident that they would never allow students to be in buildings that they are not safe in,” Rayman-Read said. Town Council President Mark Sideris, who also sits on the School Committee, said that he too believes that steps have been taken to make the schools safe. “I feel students in our buildings are safe, and our teachers are safe,” Sideris said. He added that he hopes that people who are concerned tune into Watertown School Committee meetings and what read what is reported in the local media, rather than relying on social media comments. Are you kidding me!! Who’s paying who!! Such a shame!! !